The 2018 year-end housing statistics for Summit & Wasatch Counties, as reported by the Park City Board of REALTORS®, revealed a diverse and mixed market. While there was a 7% decrease in the number of homes sales, the Wasatch Back saw a 7% increase in median price. At the close of 2018, the overall number of single-family home sales in Summit & Wasatch Counties decreased 7% compared to 2017. Conversely, the median price was up 10%, within the Park City Limits (84060), reaching $2.09M. In the Snyderville Basin (84098), the number of closed home sales was down 8%, while the median price climbed 21% to $1.23M. The Jordanelle area also saw a dip in the number of sold units, but a 4% median price increase to $1.56 M.
By area, Old Town and Park Meadows contributed to the highest number of home sales within the Park City Limits, though there were approximately 18% fewer sales than in 2017. In Park Meadows the median home price ended the year at $2.09M, while Old Towns number was flat to last year at $1.54M. Upper Deer Valley, Deer Crest, Empire Pass, and Prospector saw an increase in quantity sold. In the Snyderville Basin, the number of homes sold in Glenwild doubled last years number, and the median price climbed to $3.19M. Summit Park saw a 19% median price increase reaching $718,000. In Silver Creek Estates, the number of sales increased by 27% and saw a median price increase to $1.28M. With continued buyer interest in new construction and amenities, Promontory had the highest number of sales in the Basin, with 68 sold homes, with a 21% increase in median price reaching $2.08M. In the Heber Valley, the number of home sales remained flat to last year, while the median price climbed 14% to $515,000. The highest jump in median price, however, was in the Kamas Valley  up 32% reaching $508,300, along with a 13% increase in the number of sales. Activity heated up in Heber City, Midway, Timberlakes, and Charleston. There were 43 sold homes at Red Ledges. Midway continued to thrive with 95 single family homes sales along with a 12% median price increase to $580,000. There were 316 condominiums sold within the Park City Limits (down 7%), but the median price leapt 24% to $886,000. By neighborhood, Old Town had the highest number of sales with a median price of $570,000. With new product on the market, Empire Pass had more than double the number of closed sales than in 2017, with a median price of $2.9M. The affordability of condos in the Prospector neighborhood contributed to increased activity  up 6% in number of condo sales and a 25% increase in median price reaching $172,000. In the Basin, there were 12% fewer condo sales than last year, but the median price was up 8%. By area, Canyons Village accounted for the bulk of the sales and ended the year with a median price of $602,000. In the Jordanelle, the number of closed sales decreased by 16% but saw a 10% median price increase reaching $528,000. Lot sales within Park City Limits increased 21% over last year, along with a 26% increase in median price reaching $1.03M. By neighborhood, Old Town and Deer Crest saw the most activity. In the Basin, lot sales were down 8% but up 16% in median price to $493,000. Summit Park and Promontory accounted for the highest number of lot sales in the Snyderville Basin. it is crucial that buyers and sellers contact a Local Park City Board of REALTORS® Professional for the most accurate, detailed, and current information. The Park City Board of REALTORS® (PCBR) is a trade association of more than 900 members comprised of REALTORS® and Affiliates from the greater Park City real estate industry. PCBR analyzes and reports on real estate trends for the greater resort community of Park City. Posted in Uncategorized | 0 Responses to "2018 4th Quarter Statistics"
PARK CITY, UTAH (October 30th, 2018)  At the end of the third quarter of 2018, housing statistics revealed slowing demand and an increase in median sales price. Year-over-year, the number of single-family home sales in the Greater Park City Area decreased by 4.5%, while the condominium sector was down 9% compared to last years numbers, as reported by the Park City Board of REALTORS®. Single-Family Home Sales The number of single-family home sales within the City Limits was relatively flat (off less than 2%) and the median price of $1.95 M remained the same to 12 months ago. By neighborhood, Old Town had the highest number of sales - up 10%, while there were 30% fewer sales in Park Meadows. The median sales price climbed to $1.2 M  up 22% in the Snyderville Basin, and although there was a slight decrease in the number of sold homes, the Basin saw more than twice the number of sales than the City Limits. In Silver Creek sales were up 53% and up 43% in median sales price - reaching $1.2 M. By neighborhood, Promontory had the highest number of sales, with 63 sold homes in the last 12 months. Activity in the Tuhaye / Hideout area had a sizable increase in the number of sales with a 28% median price increase - reaching $1.06 M.
Sales in the Heber Valley continued at a strong pace, with nearly one sale a day, and a 27% median price increase to $525,000. There were nearly twice as many homes sold in Red Ledges compared to last year, with a median sales price of $1.17 M. Midway continued to thrive with 107 closed sales and a 14% median price increase over last year reaching $573,000. New growth continues to move eastward and southward to areas that still have developable land. The dramatic rise in construction costs is fueling the median sales price increases seen in the outlying areas, but active listings are still well below in-town Park City prices. The introduction of new developments will enhance this trend for the foreseeable future. As areas develop, much of what we now consider as outlying areas will feel like another extension of town, said Park City Board of REALTORS® President, Todd Anderson. In the Kamas Valley, the number of sales decreased 8%, though the median price climbed 21% reaching $440,000. The number of sales in the Wanship, Hoytsville, Coalville, Echo, & Henefer areas dropped, while the median price increased 20% to $427,000. Condominium & Townhome Sales Year over year, the number of condo sales within the City Limits was down 5% but up 8% in median price to $820,000. The Snyderville Basin reported essentially the same number of sales as last year with 291 units sold and saw a median price increase to $525,000. The number of closed sales dropped 25% in the Jordanelle, possibly due to lack of inventory, as new construction projects in this area have been completed and sold leading to fewer units available, but there was an 18% increase in median price. Vacant Land Sales Park City Limits saw 13 more lot sales than last year and a 25% median price increase to just over $1M. By neighborhood, Promontory had the highest number of land sales within the Basin with 82, and the median price continued its upward climb reaching $450,000. Canyons Village saw increased sales activity and a 28% median price increase to $2.37 M.
Conclusion Historically, July and August are the months with the highest level of inventory for homes and condos in the Wasatch Back, but the current trend of sales volume is changing and we are seeing a continued upward tick of inventory which has not been seen for some time. This trend may signal a coming price change, although in some of the most desirable neighborhoods, a shortfall of for-sale properties will be scarce and the median prices will remain strong. The complexity of individual neighborhoods and micro-markets in the Greater Park City Area are reasons that buyers and sellers should be advised to contact a Park City Board of REALTORS® Professional for the most accurate, detailed, and current information. Posted in Press Release | 0 Responses to "2018 3rd Quarter Statistics"
PARK CITY, UTAH (August 8th, 2018)  Recent housing statistics for Summit and Wasatch Counties, as reported by the Park City Board of REALTORS®, revealed continued demand and increase in median sales price. At the close of the second quarter of 2018, the number of single-family home sales in the Greater Park City Area increased by 6%, vacant land by 5%, while the condominium sector was slightly down compared to last years sales. Demand continued to rise on a gradual level, with single-family homes accounting for 49% of the total dollar volume, condominium sales for 40%, and vacant land for 11% of the market share. Year-over-year, the number of single-family home sales within the City Limits was up 9%, while the median price of $1.93 M remained flat to last year. By neighborhood, Old Town had the highest number of sales  up 36%, while there were 20% fewer sales in Park Meadows. Snyderville Basin reported more than twice the number of home sales as the City Limits  a 4% increase over last year  with the median price climbing to $1.13 M  up 17%. In Silver Creek sales were up 40% and 37% in median sales price reaching $1.16 M. By neighborhood, Promontory had the highest number of sales in the Basin with 77 sold homes in the last 12 months.Activity in the Jordanelle area had a sizable increase in sales with a 14% median price increase reaching $1.73 M.
Sales in the Heber Valley continued at a strong pace, with nearly one sale a day, and a 28% median price increase to $506,000. There were 20 more homes sold in Red Ledges compared to last year, with a median sales price of $1.16 M  up 8%. Midway continued to thrive with 96 closed sales and 17% median price increase reaching $544,000. There are many factors contributing to the numbers we are seeing in the Heber Valley. Despite the sharp increase in construction costs, single-family homes are still well below Park City prices. With new amenities in the Heber Valley and excellent schools, buyers are weighing their options, said Park City Board of REALTORS® President, Todd Anderson. In the Kamas Valley, the number of sales decreased 15%, though the median price climbed 10% to $412,000. Sales numbers in the Wanship, Hoytsville, Coalville, Echo, & Henefer areas remained the same with a median price of $359,000. Year over year, the number of condo sales within the City Limits was up 8% and up 15% in median price to $787,000. The Snyderville Basin reported essentially the same number sales as last year with 308 units and median price of $503,000. Anderson explained, The difference between these two areas may be attributed to the completion of developments in Empire Pass versus the reserved or pending status of to-be-built product in Canyons Resort Village. The Kimball Junction area, which can offer primary residence condominiums, saw flat sales but a 15% median price increase to $385,500. The number of closed sales dropped 20% in the Jordanelle area possibly due to lack of inventory as new construction projects have been absorbed, but there was a 12% increase in median price reaching $528,000. Park City Limits saw 14 more lot sales than last year and a 15% median price increase reaching $820,000. By neighborhood, Promontory had the highest number of land sales in the Basin with 72, and the median price continued its upward tick reaching $405,000. Canyons Village saw increased sales activity and a 22% median price increase to $2.28 M.
Historically, July and August are the months with the highest level of inventory for homes and condos in the Wasatch Back  and Q2 of 2018 was just below Q2 of 2017. In some of the most desirable neighborhoods, a shortfall of for-sale properties have placed an upward pressure on the median prices. With the demand for all that the Wasatch Back lifestyle has to offer, listed properties have been selling at a faster pace. In the last 12 months, the average length for a home to sell was less than 6 months in the Basin and less than 11 months in the City Limits. Posted in Uncategorized | 0 Responses to "2018 2nd Quarter Statistics"
May 14th, 2018  First Quarter Housing Statistics for Summit and Wasatch Counties, as reported by the Park City Board of REALTORS®, indicate a continued steady market trend in 2018. At the end of the first quarter of 2018, the number of single-family home sales for our entire market area show a 6% increase, with an 11% increase over the previous 12 months. With almost 75% of these sales occurring outside the Park City Limits, home buyers are expanding their searches into neighboring areas in the Wasatch Back. Surprisingly, the Condominium sector experienced a 10% decrease in the number of sales, though increased 5% in median sales price. The number of sales inside the Park City Limits was 7% higher than the previous year, while the median price remained basically unchanged at $1.85 M.
Thaynes Canyon saw 11 more sold homes than last year, also increasing 19% in median price. The number of sales in Park Meadows was consistent to last year, while a 10% increase brought the median price up to almost $1.93 M.
With 61 home sales in the last 12 months, Old Town was up 20% and a 7% increase in median price to $1.55 M.
Prospector almost doubled in the quantity sold, with median price remaining flat at $867,000. The number of sales in the Snyderville Basin was on par with last years number and median sales price increased 7% to $1.04 M.
The number of sales in Jeremy Ranch remained consistently strong with a 17% increase and a median sales price up 4% to $970,000. Promontory saw the highest number of home sales in the Basin with a total of 73  up 7%, though the median price dipped 11% to $1.77. The number of sales in Silver Springs was flat to last year yet edged up 5% in median sales price to $957,000. Jordanelle doubled the number of home sales and increased 17% in median sales price to just under $1.74. The Heber Valley saw almost as many sales as the Basin and jumped 25% in median sales price reaching $492,000. In the Red Ledges area, the number of sales almost doubled while the median price remained the same as the previous year. Heber City had the highest number of home sales and a median price increase of 8%. The number of sales in Midway was down 13% but prices continued to increase  up 15% to $544,000. In the Kamas Valley sales were slightly higher with a median price of $384,000  essentially the same as the previous twelve months. Sales were up 19% in the Wanship, Hoytsville, Coalville, Echo, & Henefer areas with a slight price increase to $359,000. Within the Park City Limits the number of condo sales decreased 5% while increasing 9% in median price to $767,000. Old Town sales were flat to last year, yet still claimed the highest number of condo sales within the PC Limits by neighborhood. The median price was also flat to last year at $580,000. In Lower Deer Valley condo sales were up 10%, with a median sales price matching last years number. There were over three times as many closed sales in Empire Pass, bringing the total dollar volume up 173%, while the median sales price was similar to last years number at $2.72 M.
The number of Prospector condo sales was down 16%, but the median price experienced a moderate 5% increase to $145,000. The number of sales in the Snyderville Basin decreased by 7% and the median price remained stable at $492,000. Canyons Village had the highest number of closed sales in the Basin with 116 for the year but decreased 16% in median sales price. The quantity sold in Kimball was only slightly up, but it saw a 29% median sales price sales jump reaching $405,000. Pinebrook was down 38% in the number of units sold, while increasing 6% in price. The number of Jordanelle condo sales was down 24% while pushing an 8% median price increase to $521,000. The end of the quarter marked an increase in sales for vacant land in Summit and Wasatch Counties. There was a 25% increase within the City Limits with a median price of $805,000. There were more than six times as many lot sales in the Snyderville Basin as within the City Limits and the median price was flat to last year at $450,000. By neighborhood, Promontory had half of that number, with a total of 84 land sales. Lot sales in Jordanelle increased 53% over last years number and climbed 13% in median price to $430,000. Though down in the number of sales, the Heber Valley still saw 163 units sold and increased 11% in median price to $200,000. The number of lot sales in the Kamas Valley, was up 21% with a 14% median price increase to $165,000. By these numbers, it is easy to see that our market area is full of unique micro-markets that vary significantly from one neighborhood to another. Comparisons are hard to read on paper due to the unique features of individual properties. Simply reviewing overall real estate market trends is not sufficient to understand property values, as amenities, property condition and style, location, inventory, and age are hard to determine from a birds eye view. Buyers and sellers would be advised to contact a Park City Board of REALTORS® professional for the most accurate, detailed, and current information. Posted in Uncategorized | 0 Responses to "2018 1st Quarter Statistics"
January 24, 2018  The Park City Board of REALTORS® has released annual statistics for Summit and Wasatch Counties. The 2017 year-end summary report indicates the overall real estate market continues to be healthy, steady, and growing at sustainable rates. The number of single-family home transactions and the median sales price grew at 5% and 14% respectively over the past year. 84% of these sales occurred outside the Park City Limits, as primary home buyers demand for the Wasatch Back lifestyle increased. The number of condominium transactions and median sales price grew at 4% and 6% respectively from 2016 to 2017. Condominium sales grew at a slightly faster pace inside the Park City Limits than in other areas in Summit and Wasatch Counties. Remember that these overall statistics are simply a snapshot at a moment in time and may not be representative of long-term trends. Summit and Wasatch County markets are composed of numerous hyper local markets. More granular statistics are shown below. Buyers and sellers are encouraged to contact a member of the Park City Board of REALTORS® to find answers to specific real estate related inquiries and fully understand trends in the overall market as well as specific areas of interest. Sales inside the Park City Limits increased by 13% and median sales price increased by12%. Park Meadows sales were flat but median sales price increased 13%. Old Town sales increased 30% but median sales price increased only 2%. Prospector sales increased 30% and median sales price increased 7%. Sales in the Snyderville Basin increased by 7% and median sales price increased by 6%. Sales in the Canyons area were up 13% but median sales price decreased 31%. Sales in Silver Springs were flat and median sales price increased 6%. Pinebrook sales were also flat but median sales price increased 7%. Jeremy Ranch sales increased a healthy 25% and median sales price increased 5%. Promontory continued to grow as sales increased 20% but median sales price decreased 14%. Heber Valley sales decreased slightly but the median sales price increased 15%. Jordanelle sales increased 66% and median sales price increased 9%. Kamas Valley sales increased 4% and the median sales price increased 1%, while Kamas and Marion sales were up significantly and median sales price increased 3%. Oakley and Weber Canyon sales and median sales price decreased 13% and 2% respectively. Wanship, Hoytsville, Coalville, Echo, & Henefer sales increased 13% and median sales price increased 9%. Sales inside Park City Limits increased by 14% and the median sales price increased by 6%. Old Town sales led the way with a 19% increase but the median sales price was flat to last year. Lower Deer Valley sales increased by18% and the median sales price was up slightly. Prospector sales and median sales price were essentially unchanged from 2016 to 2017. In the Snyderville Basin sales decreased by 4% and the median sales price increased by 6%. Canyons sales decreased 6% and the median sales price also dipped 10%. Kimball sales increased 3% and the median sales price sales increased 33%. Pinebrook sales decreased 17% but the median sales price increased 10%. The number of condominium sales and median sales price in the Jordanelle area increased by 1%. Similarly, the number of Heber Valley sales and median sales price were flat to last year. At a 40,000-foot level, the Greater Park City Area real estate market looks healthy and steady. However, each micro-market needs to be understood apart from the overall market; simply reviewing the numbers is not suficient to understanding property value. Sales in individual markets can be influenced by a number of factors, including unique outlier sales that can heavily weight the statistics. In addition, amenities, property condition, floorplan, location, inventory, and new construction impact the numbers. The only sure way to fully understand the real estate market in Summit and Wasatch Counties is to contact a member of the Park City Board of REALTORS®. Posted in Uncategorized | 0 Responses to "2017 4th Quarter Statistics"
October 20, 2017  The Park City Board of REALTORS® has released year over year quarterly statistics for Summit and Wasatch Counties. The overall real estate market continues to be healthy, stable, and growing at sustainable rates. The number of single family market transactions and the median sales price grew at 7% and 7% respectively over the past year. The bulk of these sales occurred outside the Park City Limits as buyers searched for properties that fit their lifestyle and budget. The condominium market transactions and median sales price grew at 10% and 10% respectively over the past year. These sales were spread more evenly across the Summit and Wasatch markets. Remember that these are overall statistics and are simply a snapshot at a moment in time and may not be representative of long-term trends. The Summit and Wasatch markets are composed of numerous diverse micro-markets. More granular statistics are shown below. 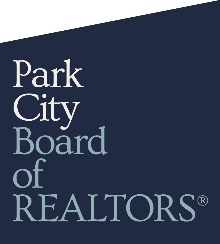 Buyers and sellers are encouraged to contact a member of the Park City Board of REALTORS® to find answers to specific real estate related inquiries and fully understand trends in the overall market and specific areas of interest. The number of sales inside the Park City Limits increased by 12% and median price increased 18%. Park Meadows sales increased 15% and median price increased 21%. Old town sales increased 15% and median price increased 11%. Lower Deer Valley sales decreased 19% but median sales price increased 8%. Snyderville Basin sales increased 9% and median sales price increased 2%. Sales in The Canyons increased 14% and but median price decreased 26%. Sales in the Silver Springs area decreased 6% but median price increased 4%. Pinebrook sales were flat but median sales price increased 13%. Jeremy Ranch sales increased 27% and median sales price increased 5%. Promontory Sales increased 13% and median sales price decreased 12%. Jordanelle sales increased 15% and median price increased 34%. Heber Valley sales decreased 9% and the median price increased 4%. Kamas Valley sales increased 32% and the median price decreased 5%. Kamas and Marion sales increased 135% and median price increased 7%. Oakley and Weber Canyon sales increased 5% and median price decreased 10%. Wanship, Hoytsville, Coalville, Echo, & Henefer sales increased 54% and median price increased 17%. Sales inside Park City Limits increased 28% and the median price increased 21%. Old Town sales increased 28% and the median price increased 9%. Lower Deer Valley sales increased 7% and the median price dipped 3%. Prospector sales decreased 4% and the median price dropped 3%. Snyderville Basin sales decreased 9% and the median price increased 6%. The Canyons sales decreased 13% and the median price dipped 1%. Kimball sales increased 6% and the median price increased 10%. Pinebrook sales decreased 16% and the median price increased 3%. Jordanelle sales increased 17% and the median price dropped 5%. Heber Valley sales increased 10% and the median price increased 21%. Clearly each micro-market has its own character and story. Simply reviewing the numbers is not sufficient to understand the big picture. Individual markets can be influenced by a number of factors including specific sales that can skew the statistics. In addition, amenities, property condition, location, and new construction impact the numbers. The only sure way to fully understand the local real estate market is to contact a member of the Park City Board of REALTORS®. Posted in Press Release | 0 Responses to "2017 3rd Quarter Statistics"
At the close of the second quarter year-over-year housing statistics released by the Park City Board of REALTORS® show steady market growth and absorption of inventory in Summit and Wasatch Counties. With a unique mix of primary, secondary and investment property owners, the broader Park City market area is composed of numerous diverse micro-markets. Price-sensitive buyers looking for value are becoming more enticed by neighborhoods outside Park City than in the past; while properties in certain neighborhoods within the City Limits and the Snyderville Basin are being renovated to address design changes towards more contemporary layouts. For our entire market area, the number of single family home sales was up 13% over the previous 12 months, the total dollar volume was up 16%, and the median sold price of $690,000 was up 4%. With 374 closed sales, the Snyderville Basin surpassed all other areas and experienced more than double the total number of sales within the City Limits; while the median price in the Basin climbed 5% over the previous year to $970,000, it rose 20% within the City Limits reaching $1.9 M. With the growing number of second-home buyers who are willing to pay a higher price for new construction or recently renovated properties, there has been an upward tic in price for sought after locations. Over the last 12 months the neighborhood with the highest number of closed sales in the Basin was Promontory with a median price of $1.72 M. Offering new product and amenity-rich lifestyle, buyers have been drawn to the new design and multi-season services found in neighboring gated communities. Jeremy Ranch had a median price of $925,000 and a total of 53 closed sales. Pinebrook saw a 23% increase in median price to $922,000 and 48 closed sales. Consistently low on inventory, Silver Springs had a median price flat to last years number at $938,000, with five fewer sales. Park Meadows saw a 23% increase in median price with $1.84 M and 44 closed sales  up 13% to the previous 12 months. Old Town experienced an 11% median price increase to $1.49 M but a 16% decrease in number of sales. The median sales price in Prospector was slightly up reaching $825,000, with 10 closed transactions. Combined there were only 13 home sales in Empire Pass and Upper Deer Valley. Both neighborhoods saw median price decreases as well, with Empire at $5.66 M and Upper DV at $5.85 M.
Lower Deer Valley saw a burst of activity with nine more closed sales than the previous 12 months and held a stable median price of $2.1 M.
Driven by new construction in Victory Ranch, the Jordanelle area was up 28% in median price to $1.52 M.
Heber / Daniel had 203 closed sales for the year with a slight increase in median price to $360,000. Midway, consistently reporting the highest median sold price in the Heber Valley, did so again at $469,000. Woodland / Francis had a median price of $457,000 with 30 transactions. Kamas / Marion had a median price of $312,000 with 34 transactions. Oakley had a median price of $397,000 with 48 transactions. For our total market area, the total number of closed sales was up 6%, total dollar volume was up 28%, and median sold price increased 12% to $500,000. The 333 condo sales within the City Limits surpassed the Snyderville Basins number of 310, and with new product available, the Jordanelle area saw a steep 39% increase in the quantity sold reaching 191. The Canyons neighborhood averaged 10 sales per month with a total of 113 for the year  the highest in the Basin, with a 14% median price increase to $635,000. The Kimball area had a steady 80 transactions with a median price of $335,000. Pinebrook was on par to last years number of 61 closed sales sustaining a median price of $463,000. Old Town accounted for the highest number of condo sales with 133 (28 more than last year) and ended the quarter with a median price of $565,000. Upper Deer Valley shot up in quantity sold, with 31 more sales than last year  the lions share of which can be attributed to Stein Eriksen Residences. The median price also increased to $2.6 M.
Activity in Park Meadows picked up due to larger unit sales in sub-divisions like Last Sun and Four Lakes, with a 31% increase in the quantity sold and a noticeable 56% price increase to $932,000. Prospectors median price of $136,000 remained stable to last years number. Sara Werbelow, President of the Park City Board of REALTORS® commented, Its important to pay attention to the micro-market areas that tell their own story; however, in general supply is continuing to pace with demand in our greater market area. Since zip codes dont explain neighborhood individuality, property condition, or amenities; and neighborhoods vary greatly in both price and inventory levels, buyers and sellers are encouraged to contact a member of the Park City Board of REALTORS® to find answers to specific real estate related inquiries. Posted in Press Release | 0 Responses to "2017 2nd Quarter Statistics"
The number of closed sales for the first quarter of 2017 in Summit and Wasatch Counties was the highest weve seen since 2007  up 20% over 2016, according to statistics released by the Park City Board of REALTORS®. Q1 also saw the highest number of pended sales on record and a 26% increase over the previous year in total dollar volume. Growth continued to morph, and expand, encompassing outlying communities in the Wasatch Back as the entire market area was pushed to new peak levels. Park City Proper (84060)  Limited supply resulted in only slight growth overall in the number of units sold but there was a 21% median price increase reaching $1.85 M for single family homes within the City Limits. Lower Deer Valley, with 17 more home sales than the previous twelve months and a median price of $2.13 M, was a hot spot of activity. Still highly sought after, Park Meadows had seven fewer sales but saw an 18% price increase reaching $1.75 M.
Snyderville Basin (84098)  With moderate supply in the Basin, there were 45 more home sales than the previous 12 months  up 13%, accompanied by a price increase of 7% to $972,000. Certain neighborhoods, like Summit Park, had 28% more closed sales and a 9% median price increase to $600,000. The popular neighborhood of Silver Springs, where inventory has been consistently low, saw ten fewer closed transactions than the same time last year, with a slight dip in median price to $910,000. In the Basin, Promontory had the highest number of transactions with 67 closed sales and median price of $2 M, indicating that new product and amenities remained in high demand. We have been seeing buyers who may start looking in Park Meadows or Deer Valley, then end up preferring the amenities offered in our Gated Communities. Buyers are also willing to pay a premium for new product, says Sara Werbelow, President of the Park City Board of REALTORS®. Jordanelle  Offering new construction but a limited supply, the Jordanelle saw little growth in number of sold units, but a giant 64% leap in median price reaching $1.49 M.
Heber Valley  Becoming increasingly popular with buyers for the bang for the buck and offering a moderate supply of inventory, the Heber Valley had a very active twelve months. With new product on the market, there were 98 more home sales  up 37% from last year, but the median price held in check to last years number of $397,000. Within the Greater Park City Area, the condominium sales accounted for almost half the number of closed transactions in the first quarter. The number of condo sales in Old Town and Jordanelle exceeded any other area. There were 134 units sold in the last twelve months in Old Town  34 more transactions than the previous year. The median price in Old Town also shot up 31% to $583,000. Jordanelle had 59 more condo sales than last year and a 30% increase in price to $485,000. The fast paced activity in the Jordanelle condo market attests to that fact that growth continues to be oriented in that direction. Outlying areas are being perceived as simply an extension of Park City and an evolution of the larger market picture, said Chris Hansen, Valuation Consulting Group. Vacant land did not show much growth in either sale numbers or values, but with limited supply of existing product coupled with strong demand, it may be only a matter of time before the land market awakens more fully and movement occurs. Due to the uniqueness of our market area and the varying degree property types, neighborhood characteristics, and inventory levels, buyers and sellers are encouraged to contact a local Park City Board of REALTORS® Professional Agent to find out more detailed housing information. Posted in Press Release | 0 Responses to "2017 1st Quarter Statistics"
2016 year-end housing statistics for Summit and Wasatch Counties, as reported by the Park City Board of REALTORS® Multiple Listing Service, show that over the past four years, the number of closed, pended, and active listings has continued to trend at a healthy and stable rate, with an averaged median price increase of 7.5% annually. However, in 2016, the median sales price for single-family homes, condominiums, and vacant land increased at a rate double that number. Overall, the quantity of sold properties did not increase sharply over previous years, yet the dollar volume for our entire market area was up 18%. With limited inventory and high demand for single-family homes within the City Limits, the median price climbed to $1.69 M.
Lower Deer Valley doubled in the number of homes sold and saw a 15% increase in median price reaching just under $2.2 M.
Park Meadows, consistently in high-demand, experienced seven fewer sales than in 2015 but ended the year with a slight increase in the median price to $1.59 M.
The number of sales in Prospector was on par with last year, but median price rose 13% hitting $833,000. Old Town, with seven fewer closed sales than in 2015, ended the year with a median price of $1.48 M  up 12%. With 366 home sales in 2016  a 7% increase over last year, the Snyderville Basin accounted for the highest dollar volume in our market area with a median price reaching $968,000. With 46 closed sales  12 more than the previous year, Trailside took a lions share of activity in the Basin and also increased 13% in median price to $723,000. Jeremy Ranch averaged one sale per week, with a total of 52 closed sales  11 more than in 2015, and held on to a median price of $922,000. The number of sales in the Canyons area went from nine to 23, several of which were in the Colony, ending 2016 with a median price of $5.89 M.
Silver Springs had ten fewer sales than last year, showing some market resistance to rising home prices in that neighborhood. The median price also dipped slightly to $897,000. Kimball Junction saw more activity than last year with 16 closed sales and a 12% median price increase to $553,000. Promontory climbed 20% in median price, reaching $2 M, and kept pace with last years number of sales. Overall, single-family home prices in the Kamas Valley rose 22% in 2016, compared to the previous year, with a median price reaching $380,000. The Oakley / Weber Canyon area accounted for half of the total number of sales in the Kamas Valley with 45 and ended the year with a $387,000 median price. Woodland / Francis saw more activity than in previous years and held on to a median price of $428,000. With 359 home sales  111 more than in 2015  the Heber Valley rivaled the Basins number of units sold seeing areas of hot activity, with a median price of $394,000. Midway / Charleston had 29 more sales than last year  which is a 38% increase, held on the median price of $480,000. Approximately 40% of the homes in Midway are second-homes. The Heber City / Daniels area accounted for the bulk of the single-family home sales in the Heber Valley with a total of 214  that is 83 more than 2015. The median price of a home gently coasted to $359,000. With 318 condominiums sold in 2016, Snyderville Basin (84098) outpaced the Park City Limits (84060) by 15 units. Despite double-digit price increases in both zip codes, demand continued to be strong in both the City Limits and in the Basin with the median price of $685,000 in town and $468,000 out of town. Old Town had the highest number of closed sales by neighborhood within the City Limits, averaging two per week with 118 and saw a 26% jump in median price to $568,000. Park Meadows had ten fewer sales than the previous year and crept along with a median price close to last years at $565,000. Lower Deer Valley, with 24 fewer sales than last year, was up slightly in price to $831,000. Prospector, the most affordable neighborhood within the City Limits, had a median price of $139,000. With new product closing at Canyons, that area had an uptick in quantity sold, averaging ten sales per month, and saw a 53% jump in median price to $615,000. Due to large projects closing at the end of 2015, the Kimball Junction area experienced a decrease in the number of units sold in 2016 but finished the year with a solid 79 closed sales, which is close to two sales per week. The Pinebrook area had a solid year with 63 units sold and maintained a steady median price of $437,000. The appeal of new product in the Jordanelle area kept buyers interested, as can be seen by a 28% increase in quantity sold and the median price of $479,000. The number of active listings has remained surprisingly consistent over the last several years, with 1,840 currently listed on the Park City MLS. Prices in our market area have continued to rise year-over-year as both primary and secondary homeowners desire to live, work, and play in Summit and Wasatch Counties. Finding affordable property in certain areas remains challenging with high demand, limited inventory, and rising home prices, so buyers continue to look for value and affordability in outlying communities. With the average home remaining on the market between 7  11 months, properties listed at or below their neighborhoods median price are selling almost 4 times as quickly. Our market area is complex and constantly changing and evolving with micro-markets dividing product by property type, location, price, age, and amenities. Buyers and sellers are advised to contact a local Park City REALTOR® for information on what is happening in your neighborhood. Posted in Press Release | 0 Responses to "2016 4th Quarter Statistics"
Statistics reported by the Park City Board of REALTORS® at the close of the third quarter show the median sales price for single family homes, condominiums, and vacant lots in the Greater Park City area have increased at a rate of 7.5% annually since 2012 and are up 14% over the previous 12 months as buyers are becoming more attracted to resort real estate. Demand remained high for single-family homes in the Greater Park City area, with some neighborhoods increasing in price at a faster rate than others as growth outside the City Limits continued. Within the Park City Limits (84060), the median sold price of a single-family home was up 18% reaching 1.63 M, while the number of sales was down 18% compared to last year. Illustrating the complexity of our area market, Lower Deer Valley, which has been stagnant for several years, experienced 21 closed sales, which is 9 more than last year, and saw a 32% increase in median price to $2.168 M; Park Meadows, typically very active, was down 34% in quantity sold and flat to last years median price of $1.5 M.
Old Town was down in units sold but up 7% in median price to $1.4 M.
Prospector, with 7 closed sales in the last 12 months, was up 17% in median price to $840,000. One of the trends we are seeing is that buyers arent as concerned with purchasing a home in a particular neighborhood or zip code as they have been in the past, says Rick Shand, President of the Park City Board of REALTORS®. Within the Snyderville Basin, the overall number of closed sales was flat to last year at 357, while the median sold price was up 11% to $975,000. Trailside was up 23% in units sold and experienced a solid 13% median price increase to $715,000. Summit Park was active with 30 closed sales and a 22% increase in median price to $619,000. Silver Springs was flat to last year in the number of sales and a median price hovering at $897,000. Promontory had the highest number of closed sales in the Basin with 67 and saw a median price increase to $1.95M. Jeremy Ranch, with 49 closed sales, had a median price of $919,000. While there were 19 fewer sales in the Kamas Valley than the previous year, the median price leaped 30% to $391,000. Accounting for the highest dollar volume, the Oakley / Weber Canyon area saw 41 closed sales and a price increase to $395,000. Woodland/Francis was also up in median price reaching $433,000. With 355 total sales  a 52% increase over last year, the Heber Valley jumped 13% in median sales price to $401,000. Specifically, the Heber/Daniels and Midway areas accounted for 322 of the total units sold. Growth in the Jordanelle continued with 28% more closed sales than the previous 12 months and saw a 36% increase in median price to $1.19. The number of condominium sales in the Snyderville Basin (84098) outpaced the Park City Limits (84060). Over the last 12 months, there were 101 fewer condo sales within the City Limits than the previous year, though the median price trended 16% upward reaching $650,000. Demand in the Snyderville Basin, with 325 closed sales, wasnt quite as high as last year, but there was an uptick in median price reaching $455,000. Old Town was down 20% in the number of sales but up 18% in price at $529,000. Park Meadows was down 47% in the number of sales and down 25% in price to $520,000. Lower Deer Valley, with 25 fewer sales than last year, was up 16% in price to $853,000. Prospector, the most affordable neighborhood within the City Limits, had 19 fewer sales than last year with a median price of $139,000. The Canyons neighborhood climbed 34% in the number of sales, with 117, and saw a median price increase to $590,000. Pinebrook accounted for 61 closed sales and saw a 19% price increase to $455,000. In the Jordanelle area, there were 34 more condo sales than last year with a median price increase to $475,000. The Heber Valley had 17 more sales than last year and a median price of $280,000. Midway / Charleston saw the bulk of the activity with 34 units sold and a substantial median price increase reaching $289,000. Due to limited inventory within the Park City Limits, there were 12 fewer land sales this year and a median price of $667,000. In the Snyderville Basin there were a total of 145 closed sales, with a 29% increase in median price reaching $450,000. Old Town had the highest number of sales by neighborhood and a median price of $600,000. Promontory had the highest number of sales in the Basin and a median price flat to last year at $330,000. The Jordanelle area, with 86 sold lots, more than doubled the number of the previous year and was up 21% in price reaching $323,000. The Heber Valley, with 188 sold lots, was up 17% and was flat to last years median price of $200,000. 127 closed sales occurred in Heber City/Daniels. Prices continue to rise at a steady rate as all types of buyers see value in Summit and Wasatch Counties. Finding affordable property in certain areas remains challenging and demand in new neighborhoods is higher than in previous years. Millennials, the largest generation ever produced in our country, is a new class of buyers who are becoming more and more active in our market. Posted in Press Release | 0 Responses to "2016 3rd Quarter Statistics"
Statistics reported by the Park City Board of REALTORS®, at the close of the second quarter of 2016, indicate a steady annual price increase for single family homes, condominiums, and vacant lots in Summit and Wasatch Counties. Areas outside the Park City Limits, such as the Heber Valley and the Jordanelle, have also seen double digit growth in the number of sales. In the entire market area, there are currently five times more pending sales outside the Park City Limits than what is pended within Park City Limits (84060). Over the last twelve months, the median price of a single family home within Park City Limits increased 19%, while the number of sales decreased 17%. Old Town and Park Meadows generated the majority of sales. Though the demand remains high, the lack of inventory has limited the number of units sold. The median sales price in Old Town was up 8% over last year reaching $1.33M and Park Meadows was up 12% to $1.54M. The quantity sold, dollar volume, and median price were up in Thaynes Canyon ($2M), Lower ($2M), Upper Deer Valley ($7.5M), and Empire Pass ($8.27M). The number of Single Family home sales in the Snyderville Basin was more than double inside the Park City Limits. Median prices in most areas in the Basin showed steady growth, with Summit Park up 27% to $615,000 and Trailside up 16% to $716,000. The median price in Pinebrook rested at $755,000 compared to $915,000 in Jeremy Ranch, while both neighborhoods had roughly the same number of sales. With 60 sales, Promontory had the highest number, by neighborhood, with a median price increase of 19% reaching just under $1.85M. The Jordanelle area continued its active pace with 11 more sales than last year and a 42% increase in price reaching almost $1.2M. There were 80 more sales in the Heber Valley than last year  a 35% increase with a 16% jump in median price to $400,000. Rick Shand, President of the Park City Board of REALTORS®, notes that Over the last 12 months, the trend of buyers searching for value continued as the Heber Valley experienced double digit growth in the number of unit sales, dollar volume, and median price. The line between Park City, Snyderville, and Heber Valley areas is not as distinct as it used to be and buyers are finding homes to better suit their needs by expanding their selection of areas. Midway / Charleston ($480,000) and Heber / Daniels ($355,000) had substantial growth in the quantity sold. Typically a strong single family market, the Snyderville Basin now outpaces the number of units sold within the Park City Limits in both single family and condominium property types. Though Condominium sales in-town outnumbered home sales two to one, for the first time and perhaps signaling a trend, the Snyderville Basin (84098) had a higher number of unit sales than the Park City Limits (84060). Over the last 12 months, there were 105 fewer condo sales within the City Limits than the previous year, though the median price trended upward 18% to $660,000. Old Town ($519,000) and Lower Deer Valley ($835,000) were particularly strong with double digit price increases. The most affordable neighborhood within the City Limits has consistently been in Prospector, and though there were 14 fewer sales than last year, the median price was steady at $143,000. Activity in the Snyderville Basin, with 369 units sold (up 21%) and a median price of $429,000 (up 12%), generated a dollar volume of just over $181M. Kimball Junction averaged 11 sales per month and jumped 52% in price to $380,000. The Canyons neighborhood, with 110 sales this year, jumped 39% in price to $542,000. In Sun Peak/ Bear Hollow, there were five more condo sales than the previous year, with a slight median price increase to $430,000. Pinebrook was also active with 60 units sold and 18% price increase reaching $452,500. The median price for a condo in the Jordanelle area was approximately $387,000, which is actually a 12% decrease compared to the year before. In the Heber Valley, there were 16 more sales than last year  up 84%, with a median price of $222,000. Midway / Charleston saw the bulk of the activity with 30 units sold and a 37% price increase to $278,000. Due to low inventory within the Park City Limits, there were 12 fewer land sales than the previous year, but the median sales price climbed to $750,000 (up 25%).The number of sales in the Snyderville Basin was the same as last year at 153, but the median sales price increased to $412,000 (up 29%). By neighborhood, Promontory had the highest number of land sales with 59 and median price of $335,000 (up 7%), and the Canyons area had seven more sales than last year reaching a median price of $1.9M (up 19%). The Jordanelle area, with 87 lots sold, more than doubled the number of the previous year. The median sales price in the Jordanelle also increased significantly to $320,000. The number of land sales in the Heber Valley was flat to last year with 161 units sold and a median price of $205,000. A note of continued interest was that product at or below the median sales price point sold in one-quarter of the amount of time, indicating that buyers are sensitive to rising prices and looking for value. We have also seen that with limited inventory, activity has increased outside of the City Limits, which seemingly has integrated our market area into a single community, says Shand. Because our market is highly segmented with micro-markets dividing product by property type, location, price, age and amenities, buyers and sellers are advised to contact a local Park City REALTOR® for information on what is happening in your neighborhood. Posted in Press Release | 0 Responses to "2016 2nd Quarter Statistics"
Statistics reported by the Park City Board of REALTORS®, at the close of the first quarter of 2016, indicated a steady annual increase of 6% in the median sales price for single family homes, condominiums, and vacant lots in Summit and Wasatch Counties. Specifically in the Single Family Home sector, prices have edged back up to where they were in 2007 but have not reached the market highs of 2008. Though the number of Single Family Home sales was down 12% within the Park City Limits (84060) and 4% in the Snyderville Basin (84098), the median price, in both locations, was up 13%. The lack of active listings for homes under the median price point has been a factor specifically inside the City Limits. Currently there are only 16 homes on the market inside the 84060 zip code under the median sold price of $1.53 million. At the end of the first quarter of 2016, Old Town and Park Meadows had the highest number of closed sales, averaging about one per week. The median sales price of a home in each neighborhood was also very close with Old Town reaching $1.35 (up 14%) and Park Meadows at $1.4 million (down 3%). In Prospector, sales were down 35% compared to last year, but the median sales price climbed 6% to $740,000. Upper Deer Valley and Empire Pass experienced a spike in the number of sales, and, due to several high priced transactions, the median price increased as well. Within the Snyderville Basin (84098), the median sales price hit $912,500. Board President, Rick Shand, points out, Currently one of the strengths in our market is in single family home sales in the Snyderville Basin. Not only are most of these homes more affordable for families and younger buyers, but there is a higher number of active listings in this area than in town. By neighborhood, Jeremy Ranch was up 16% in median price to $874,000, Silver Springs was up 19% to $930,000, and Summit Park climbed 14% reaching $549,000. The highest number of sales occurred in Promontory with a huge 31% increase over last year, averaging over 5 sales per month. The median sales price in Promontory also increased 15% to $1.78 million. There were 16 more home sales than last year in the Jordanelle area with a 5% increase in price to $900,000. Becoming increasingly popular with buyers, the number of sales in the Heber Valley was up 13% with the median sales price also up 13% reaching $383,000. Midway was up 10% in price reaching almost $473,000; Heber / Daniels was up 15% reaching $355,000; and Timberlakes was up 16% to $314,000. Within Park City Limits, the number of condominium sales was down 19% compared to last years number but up 7% in median sales price. Statistics Committee Chair Carol Agle points out, Condominium sales within the City Limits remained surprisingly steady in median price. With all neighborhoods in the mix, the median price over the last 12 months was $593,000  excluding Deer Valley numbers, it was $511,000. There was indeed a decrease in the number of sales, probably due to the absorption of inventory, consequently reducing the number of listings. The highest number of sales by neighborhood occurred in Old Town ($446,000) with an average of 8 sales per month. Both Lower Deer Valley ($774,000) and Prospector ($130,000) had 54 sales this year. Park Meadows ($659,000) averaged slightly less than 3 sales per month, accounting for 16 fewer sales for the year. Activity was the highest in the Snyderville Basin, with 361 sales for the year (up 26%) and a 14% increase in price reaching $420,000. With 56 closings at Newpark Terrace this year, Kimball Junction averaged 11 sales per month and jumped 67% in price reaching just over $380,000. The Canyons neighborhood, with 99 sales this year, jumped 39% in price to $515,500. In the Sun Peak/ Bear Hollow neighborhood, there were 20 more condo sales than the previous year, with a median sales price of almost $393,000. Condo sales in the Heber Valley were strong  up 22% in the number of units sold and up 8% in median sales price reaching just under $200,000. The highest number of Vacant Land sales for our market area was in the Jordanelle area with 80 lots sold  double the previous year. The median sales price of a lot in the Jordanelle also increased significantly to $370,000. Due to low inventory within the Park City Limits, there were only 28 land sales, but the median sales price shot up 32% to $725,000. In the Snyderville Basin, there were 156 lot sales with a 24% increase in price to $396,000. By neighborhood, the highest number of sales occurred in Promontory with 62 total sales and a median price of $311,000. The Heber Valley was active with 152 units sold and a median price of $200,000. The gradual increase in median sales price indicated continuing desirability for buyers in Summit and Wasatch Counties. We are very fortunate to live in a region with many positive attributes, so the fundamentals of Summit-Wasatch County will continue to be attractive to buyers. Primary residents, retirees, second home owners and vacationers create a balanced demand for real estate purchases of all types, says Shand. Low inventory remained a notable issue for buyers looking for product at or below the median sales price point. Shand states, Measured growth and the ability to keep pace with buyer interest will be one of the challenges in our industry. Because our market is highly segmented with micro-markets dividing product by property type, location, price, age and amenities, buyers and sellers are advised to contact a local Park City REALTOR® for information on what is happening in your neighborhood. Posted in Press Release | 0 Responses to "2016 1st Quarter Statistics"
At the end of the fourth quarter of 2015, the year-end statistics reported by the Park City Board of REALTORS® indicated a slow but consistent annual increase in both the number of closed sales and the median sales price for single family homes, condominiums and vacant lots in Summit and Wasatch Counties. The total dollar volume for 2015 was up 10% over 2014, reaching $1.85 billion, with single family homes sales accounting for the highest dollar volume by property type. Within the City Limits (84060), the median sales price of a single family home was 17% higher than the year before, reaching almost $1.52 million, but the number of closed sales decreased by 12%. By neighborhood, Old Town had the highest number of closed sales with a total of 52 with a 6% increase in median sales price to $1.31 million. Thaynes Canyon had the highest jump in median sales price  up 46% from 2014 to $1.82 million with a total of 11 closed sales for the year. Park Meadows had seven fewer sales than last year but the median sales price was up 11% to $1.44 million. In Prospector, the median sales price increased 6% to $740,000, but there were only 11 closed sales for the year (down 39%), which demonstrates how low inventory of active listings can affect the number of sales in certain neighborhoods. Higher median prices of homes within City Limits and lower number of unit sales is reflective of demand outpacing inventory. In this case a decrease of home sales from the previous year is not a sign of a weakening market. In our current cycle, single family homes listed for less than the median sales price are in very short supply, says Rick Shand, President Park City Board of REALTORS®. Within the Snyderville Basin (84098), there were seven more home sales at year-end than 2014s number, with an 18% jump in median sales price reaching $912,500. The median sales price shot up 23% in Jeremy Ranch to $874,000 and was up 25 % in Silver Springs to $960,000, though both neighborhoods were slightly down in the number of sales. The highest increases in the number of sales occurred in Glenwild / Silver Creek (up 77% with 39 sales), Pinebrook (up 30% with 48 sales), and Jordanelle (up 85% with 37 sales). With new construction in Promontory, there continued to be an upward trend in the number of sales, ending the year at 60, with a median sales price of $1.67 million, as well as, in the Jordanelle area, with 37 total sales  up 85% from last year, and a median price of $900,000. According to Carol Agle, Statistics Chair for the Park City Board of REALTORS®, In and around the Jordanelle Reservoir we are seeing increased interest from both primary and secondary home buyers. There were 135 condo sales in Jordanelle at an affordable median price of $375,000, and 37 home sales at a median price of $900,000. Contrast that with the rest of Wasatch County ending the year with only 25 condo sales, but 241 single family home sales with an 8% increase in the median sales price to $369,000. We are definitely seeing a dual market then in Wasatch County, with the focus on the Jordanelle area for the newer condos. In the Kamas Valley, there was a 10% increase in the number of sales with a 4% increase in median sales price to $310,500. Within Park City Limits, the number of condominium sales was down 13% from 2014 but up 11% in median sales price reaching $605,000. Neighborhoods with increased closed sales include Lower Deer Valley Resort (up 25%), Upper Deer Valley Resort (up 23%), and Prospector (up 38%). The median sales price for a condo was up 9% in Lower Deer Valley to $780,000, down 35% in Upper Deer Valley to $995,000, down 24% in Park Meadows to $585,000, up 15% in Old Town to $450,000, and up 27% in Prospector to $155,000. Once again we see the relative affordability in surprise sectors within Park City. The 55 condo sales in Prospector saw a remarkable $155,000 median sales price. Old Town and the base of Park City Mountain saw 108 condo sales at a median price of $449,000, Agle adds. The overall Snyderville Basin condo market was up 35% in the number of sales with a total of 361 sales, or one a day, at a median price of $400,000. The strongest condo market was at Kimball Junction and Jordanelle which each averaged a sale every two and a half days with 135 units sold at the median sales price of $375,000. The quantity of units sold in the Sun Peak/ Bear Hollow neighborhood was 71% higher in 2015 than 2014 with a median sales price of $394,000. Jeremy Ranch was up 36% in the number of sales and 15% in median price to $574,000. At the Canyons, the median sales price of $401,000 and 84 closed sales were both flat compared to last years number. Vacant Land sales account for the smallest volume of the market by property type, though for the total market area, the quantity of lots sold was 9% higher than last year; median sales price was 13% up, and total dollar volume was 8% up. Within the City Limits, there were 13 fewer land sales than last year, a 33% decrease, but the median sales price was up a solid 18% reaching $677, 000. The median price for a lot in Park Meadows was up 19% to $970,000, and in Old Town it was up 35% to $575,000. In the Snyderville Basin, there were 170 lots sold, which is the exact same number as 2014. The Glenwild / Silver Creek area saw increased activity with 42 units sold and a 19% median sales price increase to $443,000. The two neighborhoods with the highest number of vacant land sales were Promontory up 31% to last year with a total of 72 units sold and a median sales price of $305,000, and Jordanelle up 92% with a total of 69 lots sales and a median price of $250,000. Though the number of sold lots dipped slightly in both the Heber and Kamas Valleys, the median sales price increased 15% in both areas reaching $205,000 in Heber and $101,000 in Kamas. The gradual increase in dollar volume, median sales price, and number of closed sales in Summit and Wasatch Counties indicated strong and steady growth in 2015, though the market is not back to the highs of 2007. The median sales price continued to rise slowly at a pace of 4.7% this year, which fits the upward trend we have been seeing annually since 2011. There is still affordable property to be found within Park City Limits and the Snyderville Basin. While new construction continues to be in high demand, buyers must pay the premium costs for it. Over the past five years, our market has continued to post solid gains. Changes in the overall market have been steady and for the most part, headed in the right direction. Demand appears to be increasing and as more buyers focus on our area for family, work, retirement and lifestyle, inventory will be an issue, particularly in popular areas. Our community will continue to grow and with that, we hope there will be a variety of housing opportunities for a wide range of buyers, says Shand. Our market continues to be highly segmented with micro-markets dividing product by price, property type, and demand, so it is best to contact a local Park City REALTOR® for information on what is happening in your neighborhood. Posted in Press Release | 0 Responses to "2015 4th Quarter Statistics"
At the 2015 third quarter end, both the median sales price and the number of closed sales continued to trend upward despite the number of active listings hovering at historically low levels in the Greater Park City Area. By property type, including single family homes, condominiums, and vacant land, for the entire market area, there was a 12% increase in quantity sold and 10% increase in median sales price compared to the previous four quarters, with condominium sales accounting for half the closed transactions, according to statistics released by the Park City Board of REALTORS®. Year-over-year the total dollar volume was also up 20% reaching $1.85 billion. The dollar volume for single family homes in the Greater Park City area for the first nine months of this year was the highest since 2006. Comparing the last four quarters to the previous four quarters, the median sales price within the City Limits (84060) was up 11% in quantity sold and 7% in median sales price reaching $1.39 million. By neighborhood, activity was steady in Park Meadows with 59 sales and a median sales price of almost $1.44 million  which is an 18% increase. Old Town was up 18% in the number of sales with a 10% increase in median price reaching about $1.28 million. The Prospector area was slightly down in the number of sales compared to the previous twelve months, but the median sales price remained stable at $721,000. The number of closed sales over the last four quarters in the Snyderville Basin (84098) was almost double the number of sales within the City Limits. The median sales price in the Basin also climbed 20% reaching $875,000. The median price of a single family home in the Snyderville Basin appreciated at almost three times the rate of 84060  reducing the gap between the two areas, said Nancy Tallman, President of the Park City Board of REALTORS®. The neighborhoods with the highest number of increased sales included Promontory  up 27% in quantity sold with a median price remaining flat to last year at $1.63 million; Pinebrook  up 38% with only a slight increase in median price to $770,000; and Glenwild / Silver Creek  up 50% with a 19% median price jump reaching $1.2 million. Though quantity sold was down compared to the previous four quarters in a few neighborhoods, the median price increased: Jeremy Ranch was up 27% to $875,000; Trailside was up 9% to $635,000; and Silver Springs was up 25% to $903,000. By property type, condominiums accounted for about half the number of total transactions in the Greater Park City area market. Although prices are rising, there are affordable condominiums available for purchase in several neighborhoods, which may account for the increase in closed sales over the last twelve months, says Tallman. Comparing year-over-year, the number of condominium sales within the Park City Limits was 14% higher, but the median price remained flat at $561,000. In Old Town over the last twelve months there were 137 sales, an average of 12 sales per month; the median sales price in Old Town was up 21% to $450,000. There were almost three times the number sales in the last twelve months than the previous year in Prospector, reaching a total of 69 with a steady median sales price of $134,000. In Lower Deer Valley the quantity of sold units was up a significant 82% with only a slight median sales price increase to $735,000. The number of condominium sales in Snyderville Basin has climbed 37% in the last year with a 13% increase in median price reaching $389,000. The highest number of sales occurred in the Kimball area, up 77%, partially due to numerous closings in the third quarter at New Park Terrace; the median price also jumped 58% to $359,000. In Sun Peak/ Bear Hollow the median price was $385,000, and the number of sales increased by 62%. The Jordanelle area averaged 11 sales per month and was slightly up in price reaching $423,000. The number of vacant land sales within the City Limits (84060) over the last four quarters was 15% less than the previous year, but up 27% in median sales price to $700,000. In the Snyderville Basin, lot sales were down 12%, but the median price increased to $350,000. The highest number of vacant land sales for the entire market area was in Promontory with 66 sales over the last four quarters; the median price at Promontory also increased 46% to $335,000. The Jordanelle area saw a 64% leap in quantity sold with 54 lot sales and a 40% price increase to $267,000. Old Town averaged one sale per month and had a 46% increase in median price climbing to $615,000. The number of lot sales in Park Meadows was down 44% to the previous four quarters but shot up 54% in price reaching $970,000. Prices have risen gradually in the Greater Park City area at a rolling average of 6.7%. There may be increased activity and demand in the months ahead due to first-time visitors coming to ski Vail resorts, but the market remains steady and somewhat price-sensitive. New construction is always in demand, but also carries a premium cost, so buyers may continue to look for value in older product. The increase in condominium sales indicates that affordable condominiums are still available in many locations in the Greater Park City area. Because our market continues to be highly segmented with micro-markets divided by price, inventory, property type and demand, contact a local Park City REALTOR® for information on what is happening in your neighborhood. Posted in Uncategorized | 0 Responses to "2015 3rd Quarter Statistics"
The total number of closed sales, year-to-date, for the entire market area was 9% higher than the first two quarters of 2014 and was the highest first half of any year since 2007, according to statistics released by the Park City Board of REALTORS®. The total dollar volume was up 11% and the median sales price continued to trend upward on a gentle curve in most areas. The Summit and Wasatch County market remains highly segmented; some market segments are drifting down while others are moving up. Year-over-year, the median sales price has come up slightly in other neighborhoods including Jeremy Ranch ($850,000), Pinebrook ($780,000), and Trailside Park ($619,000). The Canyons area jumped in median sales price to $5.475 million, primarily due to home sales in The Colony. Growth continued in the Jordanelle area with an increase in the number of sales and median price ($838,000). The Heber Valley was up 17% in number of sales with a median sales price of $345,000. By property type, there continued to be a high proportion of condominium sales. The number of sales for the entire market area at quarter end was 9% higher than the previous twelve months, with a 14% overall increase in median sales price. Though there were fewer sales in Old Town than the previous four quarters, the median sales price increased to $445,000  up 21%. By neighborhood, Prospector had the highest jump in number of sales, also with a median sales price increase reaching $132,000. Lower Deer Valley experienced market absorption in the condo sector with more than double the number of sales along with a 15% median sales price increase to $735,000. After a prolonged period of limited demand and soft pricing, Lower Deer Valley condominiums are showing good signs of recovery. As locations closer to the ski resorts become limited due to inventory issues, buyers are turning to older product in Lower Deer Valley for value, Shand said. Similar to the single family home market, the number of condo sales in Snyderville Basin increased steadily in quantity sold, dollar volume, and median sales price. Year-over-year, quantity sold was up by 21% in the Basin with a 13% price increase to $380,000. In Kimball Junction the median sales price increased slightly to $245,000. The Canyons area, with its wide-ranging property types, was up 41% in the number of sales over the previous four quarters with a median sales price of $389,000. Jeremy Ranch showed an increase of activity with 58% more sales than the previous four quarters and a price increase to $535,000. With new construction continuing in the Jordanelle area, both the number of sales and the median sales price of $439,000 were slightly higher than the four quarters of the previous year. New construction is most sought-after, and buyers will pay for the increased costs of it, said Agle. The number of Vacant Land sales for the entire market area was slightly higher than the previous four quarters and lot prices increased 10% in median sales price. Lower Deer Valley was up in both quantity sold and median sales price ($523,000). Lots in Old Town ($562,000) and Park Meadows ($858,000) increased in median sales price from what they were the previous year. In the Snyderville Basin, neighborhoods with price increases were Trailside Park ($317,500), Glenwild/Silver Creek ($400,000), Promontory ($312,500), and Pinebrook ($190,000). The Jordanelle area continued to grow, with lot sales up 21% and a median sales price of $208,000. The Heber Valley saw a similar quantity sold compared to the previous four quarters with a 5% price increase reaching $195,000. We appear to be in a relatively stable market with short sales and foreclosures at pre-recession levels. The number of days a property remains on the market has been consistently low over the past few years, as well as, the number of active listings on the market at any one time. Low inventory has been a consistent factor in our market area since the third quarter of 2012, but as of July 1, inventory was the highest it has been in a year. The varying property types and desirability of certain neighborhoods over others make the Greater Park City area a highly segmented and complex market of submarkets. More than ever, buyers and sellers are wise to enlist the services of a local REALTOR®. Posted in Press Release | 0 Responses to "2015 2nd Quarter Statistics"
The total number of closed sales, including single family homes, condominiums, and vacant land, within the Greater Park City Area, for the first quarter of 2015 was 11.5% higher than Q1 of 2014 and 18.5% higher than Q1 of 2013. With another strong quarter in condominium sales, the number of closed transactions for the first quarter of 2015 marked the highest number of first quarter sales since Q1 of 2007. The total dollar volume for the first quarter was 17% above that of 2014 and 37% higher than 2013, according to statistics released by the Park City Board of REALTORS®. The median sales price for the Greater Park City Area, including all property types, seems to be trending up at a gradual pace  5.7% higher than the first quarter of last year, but still below that of 2010. The number of single family home sales for the entire market area at quarter end was 180, which is 11% higher than Q1 of 2014. Despite low inventory impacting the number of sales in some neighborhoods, several areas experienced an increase of activity. Comparing the last four quarters with the previous four quarters within the Park City Limits (84060), Old Town was down 13% in quantity sold but up 7 % in median price to $1,180,000. Park Meadows continued to average one sale per week, flat in the number of sales compared to last year, but up 16% in median price reaching $1,450,000. A four quarter comparison in the Prospector area shows a 31% increase in the number of sales along with a 21% price increase to $700,000, but sales were down in the first quarter of 2015 compared the first quarter of 2015 due to lack of inventory. Park City Board President, Nancy Tallman, comments, "We are noticing that some listings are selling within a matter of a few days if they are priced right and well presented. Buyers are accepting the listing prices with greater immediacy due to lower inventory. Multiple offers and back up offers are becoming more frequent. While the rapid sales and appreciating prices may remind some of the last real estate bubble, conditions are much different today. About half of all sales are cash and buyers who finance come with large down payments." Comparing year-over-year numbers within Snyderville Basin, areas with the highest number of sales include Glenwild/Silver Creek  up 38 % in quantity sold with a 5% median price increase to $1,175,500, Promontory  up 30% in sales with a median price of $1,550,000 (flat to last year), The Canyons  up 20% in sales with a median price of $5,507,489 (up 36%, largely due to sales at The Colony), and Sun Peak / Bear Hollow  up 45% in sales with a 2% median price increase to $852,500. Though quantity sold is down compared to last year, the median price increased in Trailside ($615,000), Pinebrook ($772,500), and Silver Springs ($780,000). Year-over-year, the Jordanelle area saw a 25% price increase reaching $858,132 with a 13% decrease in quantity sold. The Heber Valley has experienced increased activity with a 19% increase in number of sales and a 2% median sales price increase to $341,500. Statistics Committee Chair, Carol Agle, explains, There has been a lot of activity and focus on neighboring areas to Park City including Heber. We are in the process of combining our databases with Wasatch County and will eventually have more detailed and accurate reports. There were 11 more single family home sales in the first quarter of this year compared to last in the Heber Valley! The Kamas Valley was also up 11% in sales and 3% in median price to $299,500. By property type, there has been a growing proportion in the number of sales and dollar volume within the condominium market. The number of condominium sales for the entire market area at quarter end was 184, which is 10% higher than Q1 of 2014, with an 11% overall increase in median price. Comparing year-over-year, the number of condominium sales within Park City Proper was flat to last year with a median price of $552,500 which was 8% higher than last years number. By area, the number of sales in Old Town was down, but the median price increased 14% to $415,000. Other areas of interest include Empire Pass up 37% in quantity sold with a median price of $3.08 million, Lower Deer Valley up 55% in sales with a median price reaching $732,375, and Prospector up 12% in the number of sales and 41% increase in median price to $134,000. The Snyderville Basin showed increased activity in the condo market, up 11% in number of sales and 9% in median price reaching $364,600. Comparing year-over-year by area, the highest number of sales occurred in the Canyons neighborhood (up 27%) with a median sales price of $371,250. The number of sales in Sun Peak/ Bear Hollow was slightly down, but experienced a 20 % median price increase to $477,500. "With Vail's plans to connect Park City Mountain Resort to the Canyons, there was greater demand for affordable condominiums in the Canyons area. We also believe sales were limited at Bear Hollow due to lack of inventory, Tallman shares. Other areas with an increase in activity include Pinebrook, up 29% in number of sales with a 17% median price increase to $395,726, and the Jordanelle area, up 13% in number of sales and 15% in median price reaching $412,671. Vacant Land sales for the entire market area were 6% higher than Q1 of 2014, with a median price increase of 18%. By area, Old Town had an 88% increase in sales and a 38% increase in median price to $465,000. The median price for a lot in Park Meadows was $775,000 though sales were flat compared to the previous four quarter number. In the Snyderville Basin area, the number of land sales was slightly lower than the previous year, but increased 7% in price to $320,000. A few hot spots for vacant land sales include The Canyons area with a 35% increase in number of sales and a 19% increase in median price to $1.6 million and Pinebrook with seven more lot sales than the year before and a 29% price increase reaching $168,900. The number of sales in the Trailside area was 25% higher over last years number with an 18% increase in price to $235,000. We believe there is a huge pent-up housing demand due to Utahs booming economy and a lack of new construction. The good news is that the increase in sales of vacant land is an indicator of future new construction. The inventory constraint is not unique to Park City, but is a nationwide phenomenon, says Tallman. Gradual price increases seen in most of our market area and property types could be viewed as a stable market trend. Low inventory has been a consistent factor in our market area since the third quarter of 2012 and as of May 12, 2015, there were only 1,884 active listings compared to 1,940 at the end of Q1 2014. Though January and February were, as historically expected, slow months in the number of closings, March finished strong, and it looks like April, May and June will follow. For the most accurate advice and information, consult your local REALTOR®. Posted in Press Release | 0 Responses to "2015 1st Quarter Statistics"
Though the total number of closed sales, including single family homes, condominiums and vacant land, within the Greater Park City Area at year-end was slightly lower than 2013, total dollar volume was 8.7% higher and the median sales price was 5.5% higher, according to the Park City Board of REALTORS®. Led by a spike in condominiums sales, the number of closed transactions across the Park City MLS in the fourth quarter of 2014, marked the highest number of fourth quarter sales since 2005. The big news of Q4 was the huge jump in number of pended sales in October creating a rush of closed sales in the last quarter of 2014, culminating in a 49% increase over 2013. The number of condominium sales for the entire market area at quarter end was 808, which is 10% higher than last years number. Condominium sales in Park City Proper bounded ahead of last years number, as well in Q2 and Q3 of this year, to end 2014 with 376 sales  up 6%. The median price of $542,450 was 5% higher than last years number. By area, Old Town had the highest number of condominium sales at 166  a 6% increase  with a median sales price reaching $390,000. Board President, Nancy Tallman shares, There was a definite uptick of 4th quarter condominium sales near the base of PCMR. We can't be sure whether this is the so-called Vail Effect or just the settlement of the lawsuit and the certainty that the resort would be open this season. Whatever the reason, the sales speak for themselves. Two other areas of interest include Empire Pass with 37 condominium sales, up 68% from last year, with a median price of $2.8 million, and Park Meadows which dipped 13% in the number of sales but soared 40% in median price to $768,750. Condominium activity in the Snyderville Basin parallels that within Park City Proper  up 7% in the number of sales with an 11% increase in median price reaching $360,975. By area, the highest number of sales occurred in the Canyons neighborhood with 83  up 11% over last year and a median sales price of $387,000. The number of sales in Sun Peak/ Bear Hollow was up 17% with a median price increase of 6% to $438,500. Pinebrook was up in number of sales (by 21%) totaling 58 and median price (by 20%) reaching $387,500. The Jordanelle ended the year 19% above 2013 with 124 total units sold and reported a 15% median price increase to $408,385. The lack of inventory and gradual pricing increase is making it almost impossible for first-time home buyers to find affordable single family residences. Many of these buyers are forced into condominiums and townhomes due to pricing. In fact, we are seeing full-time residents buy condominiums that were traditionally used as vacation residences, says Tallman. At year-end, the number of Single family home sales dropped 6% within Park City Proper, and finished 2014 with a median price of $1,300,000. Still a highly segmented market, the Lower Deer Valley® Resort area had 38% fewer sales, but reported a 22% median price increase to $1.855 million. In contrast, the Prospector area was up 38% in the number of sales and up 20% in median price reaching $697,500. Park Meadows was flat compared to last year in both number of sales (56) and median price ($1,300,000). The highest increase in price, by area within Park City Proper, was in Old Town  up 36% to a median of $1.24 million. In the Snyderville Basin, the number of sales fell 13% compared to 2013, yet the median price ended the year at $775,000  a 10% increase. Several areas experienced an increase of activity: The Canyons up 11% in quantity sold and 31% in median price ($5.507 million) and Sun Peak / Bear Hollow up 33% in sales and 24% in median price ($1.02 million). Though there were fewer sales, the median price increased in Trailside ($585,000), Pinebrook ($746,000), and Silver Springs ($769,500). The Jordanelle area saw a 21% price increase over last year reaching $795,382. The Heber Valley had 212 total sales with a 3% price increase to $345,000. The Kamas Valley had 87 total sales and 3% price gain to $298,000. Park City Proper ended the year with 40 sold lots (down 17%), but a median price increase of 4% to $574,500. Old Town had an 18% increase in sales and a 65% increase in median price to $425,000. The median price for a lot in Park Meadows shot up 77% to $816,500! In the Snyderville Basin area, land sales were up 6% with a 22% price increase to $335,000. One particular hot spot with increased activity was Canyons area with a 16% increase in number of sales and a 21% increase in median price to $1.575 million. Sales in the Trailside area leaped 50% over last years number with a 44% increase in price to $287,500. Gradual price increases seen in most of our market area and property types this year brought the dollar volume for 2014 to over $1.678 billion, which is 10% over 2013, and 43% over 2012. What could be viewed as a stable market trend with healthy property appreciation seems likely to continue. Low inventory has been a consistent factor in our market area since Q3 of 2012, and with a new low in the number of active listings, it doesnt seem to be changing. As of January 1, there were only 1,904 active listings compared to 2,001 active listings on January 1 of last year. Every neighborhood has its own story, but the common thread was a dramatic decrease in inventory. We believe this is a big reason why sales were flat between 2013 and 2014, says Tallman. For the most accurate advice and information, consult your local REALTOR®. Posted in Press Release | 0 Responses to "2014 4th Quarter Statistics"
The total number of closed sales, including single family homes, condominiums and vacant land, within the Greater Park City Area in the third quarter of 2014 is 12% below Q3 of 2013, with single family home sales down over 16%, according to the Park City Board of REALTORS®. Though the number of sales is down, median prices continue to climb at a gradual pace. In the Snyderville Basin, the number of sales dropped 14% to 246 compared to 286 in Q3 of 2013. Silver Springs and Pinebrook saw decreases in the number of sales compared to last year, but increases in the median price, reaching $767,000 in Silver Springs and $715,000 in Pinebrook. Sales were flat in the Trailside area, but the median sales price shot up 18% reaching $600,000  An increase of $90,000 over last year. The Jordanelle area saw the highest price increase in single family homes  up 35% to $868,132. The Heber Valley had 149 sales with a 4% price increase to $352,000. The Kamas Valley had 58 sales (an 8% decrease) and slight price gain to $292,250. The number of condominium sales for the entire market area at quarter end was 566, which is actually 3% higher than last years number. Though condos in Park City Proper dropped 8% in the number of sales, the median price was $635,000, which is a 15% increase. By area, Old Town had the highest number of sales reaching 111 units with a median sales price of $375,000. Empire Pass saw a whopping 32 sales so far this year, compared to only 17 in 2013. In the Snyderville Basin, condo sales fared slightly better than within the City Limits  up 4% with an 8% increase in price to $347,450. By area, the highest number of sales was in the Kimball neighborhood with 49 and a median sales price of $220,000. The number of sales in Sun Peak/ Bear Hollow was up 24% with a median price of $461,250. Pinebrook gained 23% in the number of sales while posting a 25% gain in price reaching $392,500. The Jordanelle jumped 21% to 91 total units sold and reported a 13% median price increase to $392,741. Park City Proper ended the quarter with 32 sold lots (down 22%) and a median price of $550,000 (down 12%). Alternatively, land sales were up 18% in the Snyderville Basin area reaching 138 so far this year, with a 13% price increase reaching $337,500 per lot. The Jordanelle area had the highest median price increase of 38% to $190,000, though the number of sales was down 29%. Lots in the Heber Valley increased in the number of sales (35%) and median sale price (14%) reaching $175,000. In the Kamas Valley there were 38 sales-to-date which is up 41%, while the median price fell slightly to $85,000. Because of the modest price increases seen in most of our market area and property types this year, the total dollar volume for Q3 is $1.164 billion, slightly above Q3 of 2013, and up a surprising 33% over 2012.The low inventory has certainly contributed to the drop in sales in single family homes. As of October first, there were 1,198 active listings within the Greater Park City Area, which is the lowest it has been since June of this year. Though supply remains reduced, we are heading into our busy season and looking forward to the increased activity winter brings to Park City, says Davis. With distressed sales no longer factoring into our market, prices have stabilized and are improving slowly. For the most accurate advice and information, consult your local REALTOR®. Posted in Press Release | 0 Responses to "2014 3rd Quarter Statistics"
Park City, Utah  July 23, 2014  Though real estate prices in the Greater Park City Area are trending upward, the number of sales is down 9%. The number of closed sales in the Greater Park City Area dropped 9% in the second quarter of 2014 compared to the same time period last year, according to the Park City Board of REALTORS®. Though there were 39 fewer sales this year (single family, condominiums and vacant land), median prices continue to trend slowly upward in 2014. Single Family Home Sales: By property type, single family homes had the least activity in Q2. The number of single family home sales within Park City Proper was down 29% compared to the second quarter in 2013. Both Snyderville Basin and Heber Valley were down 9%, and Kamas fell 6%. Yet pricing in most areas is climbing at a gradual pace. The median price for a single family home within Park City Proper is $1,675,000 (up 36% over Q2 of 2013). The median sales price for a single family home in the Snyderville Basin area is rising at a slower pace, but is still up 8% over 2013 to a median sales price of $755,500. The Jordanelle area saw the highest price increase, reaching $885,000 (up 48%). We are seeing buyers at different ends of the spectrum. Some have expendable income or cash and dont mind paying for a new product they like. Others are more cautious and resistant to price increases, says President of the Park City Board of REALTORS®, Marcie Davis. Single family home prices remain relatively flat in both the Heber Valley with a median price of $359,150 and the Kamas Valley with a median price of $268,460. Condominium Sales: In contrast, condominium sales in Park City Proper reached 168 units (Up 8% over Q2 2013) with a median price of $636,500 (up 11%). By area, Old Town had the highest number of sales in Park City Proper, reaching 84 units (up 27%). The Jordanelle recorded the highest number of condo sales in the Greater Park City Area with 62 units (up 48%) and a median price of $380,800 (up 15%). There were 107 condo sales in the Snyderville Basin which is flat compared to last year, though Sun Peak, Bear Hollow, Kimball, and Pinebrook saw significant increases in the number of sales for the second quarter. The median price for a condo in the Snyderville Basin is $337,500 (up 5%). Vacant Land Sales: Park City Proper (down 34% compared to Q2 of 2013) and Jordanelle (down 39%) ended the quarter with 19 sales apiece. Alternatively, the Snyderville Basin had 97 land sales (up 24%) with a median price of $340,000 (up 27%). Within Park City Proper, the median price for a vacant lot is $700,000 (up 33%). The Jordanelle area had the highest median price increase jumping to $180,000 (up 52%). Lot sales in the Heber Valley are also 40% higher than last year with a median price of $175,000 (up 40%). The Kamas Valley had 22 sales (up 22%), though the median price fell slightly to $85,000. Looking Ahead: The lack of inventory  possibly caused by a perceived delay in listing new properties through the spring due to colder than normal weather conditions  may have contributed to lackluster sales as even pended sales numbers remained lower than last year until mid-June. Within the Greater Park City Area, there have been 119 new listings in July  highlighted by an increase of 68 single family homes. July should pick up in both activity and sales. When a property is new to the market and priced right, it goes very quickly, says Davis. Distressed sales are no longer a topic as they accounted for less than 3% of the sales in the second quarter and less than 2% of the properties currently listed. Total dollar volume for Q2 is up 10% over Q2 of 2013 and median prices are climbing. Park City real estate remains diverse and cannot be classified into one market. Because neighborhoods vary drastically in price, inventory, and demand, to get the best advice and information on what is happening in the real estate market today, call your local Park City agent. Posted in Press Release | 0 Responses to "2014 2nd Quarter Statistics"
Park City, Utah Highest number of first quarter sales since 2007 Statistics compiled by the Park City Board of REALTORS® Multiple Listing Service show the number of closed sales for the first quarter of 2014 (including single family homes, condominiums and vacant land) is higher than it has been for a first quarter since 2007. Surprisingly, with Park City real estate in strong demand, with total dollar volume just shy of $327 million (an 11% increase over Q1 of 2013) and with inventory still at record lows, median prices for the Greater Park City Area have increased by only 2% in the past year and are still well below the market high in 2007. Single Family Homes: There were a total of 159 single family homes sold in the first quarter of 2014. This number is down slightly from the first quarter of 2013 (169 sold) due to a slow start in January and February, but March sales jumped 25% over February and was the highest March since 2007. The Snyderville Basin area had the highest number of single family home sales by market area, specifically in the Jeremy Ranch and Pinebrook neighborhoods (9 each). Within the Park City Limits, the number of sales for the first quarter was slightly lower than Q1 of 2013, with the exception of Park Meadows (13 sales). The Jordanelle area sales for the first quarter jumped 75% over Q1 of 2013. Condominiums: By property type, condominiums had the most closed sales for Q1 of 2014, reaching a total of 165, a 25% gain over Q1 of 2013. Within the City Limits sales increased 14% over Q1 of 2013. Old Town was the most active (46 units) followed by Empire Pass (11 units). Snyderville Basin saw a 20% increase over Q1 of 2013. The Sun Peak/Bear Hollow and Kimball neighborhoods were the most active with 11 sales apiece. Compared to last year, the Jordanelle area had the highest increase in the number of condo sales with 26 up 37%. The rising number of condo sales outside the City Limits indicates that there are buyers who dont mind being out of town and who are looking for newer product, lower HOA fees, and shopping convenience, says Park City Board of REALTORS® President, Marcie Davis. Vacant Land: By area, the Snyderville Basin had the highest number of vacant land sales with 42 to date, a 31% gain over the first quarter of last year. Promontory was very active with 15 sales and the Glenwild/Silver Creek area sales reached 11both were significant increases over the prior year. With only 6 sales in the first quarter, the Jordanelle area is 54% lower than Q1 of 2013. The Heber Valley had the highest increase in sales with 26 lots, more than three times the sales in 2013. There were only 4 vacant land sales within the Park City Limits, possibly due to a lack of inventory. In certain neighborhoods, we are seeing restricted sales due to limited product, says Davis. Inventory declined almost 4% over the past year and remains at historic lows. Year over year comparisons by neighborhood show Old Town currently has 26% fewer active listings, Silver Springs is down 25% and Jeremy Ranch is down 28%. The increasing activity in Park City area real estate in March and April is a good indication that sales will continue to trend upward in 2014. All property types, neighborhoods and price ranges are seeing increased activity. Multiple offers are not uncommon as buyers decide Park City and the surrounding areas are great places to live or own second homes. Because individual neighborhoods and property types vary drastically in price, supply, and demand, buyers and sellers are best advised to consult a local Park City REALTOR® for the most current and accurate information. Posted in Press Release | 0 Responses to "2014 1st Quarter Statistics"